Spaces at the southeast and northwest corners of Manchester Road and Sutton Boulevard are up for lease. At the northwest corner, 7401 Manchester Road, Schlafly Corporation has the 1,685 square feet space offered at $20 per square foot. Goebel & Company Furniture was there for a year. The last day for that lease is Aug. 24, Martin Goebel said. Goebel still has its ‘production studio’ at at 2936 Locust Street, St. Louis. 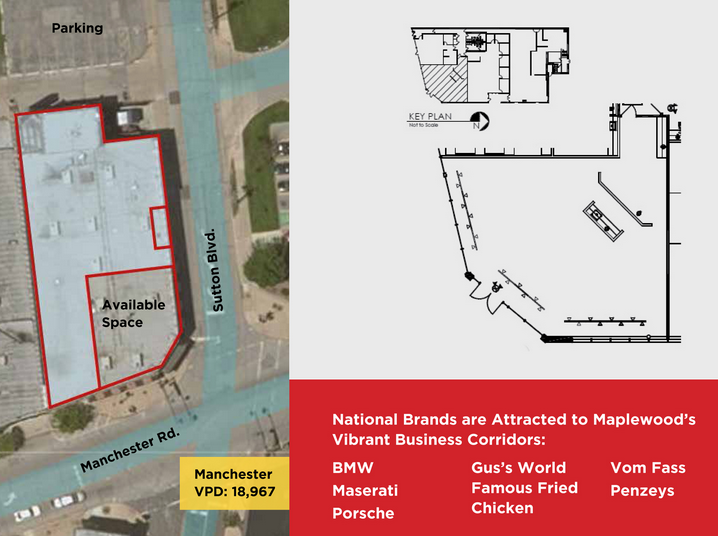 At the southeast corner, 7376 Manchester Road, is “approximately 2,000 square feet” offered by Red Brick, it’s It’s also offered at $20 per square foot. 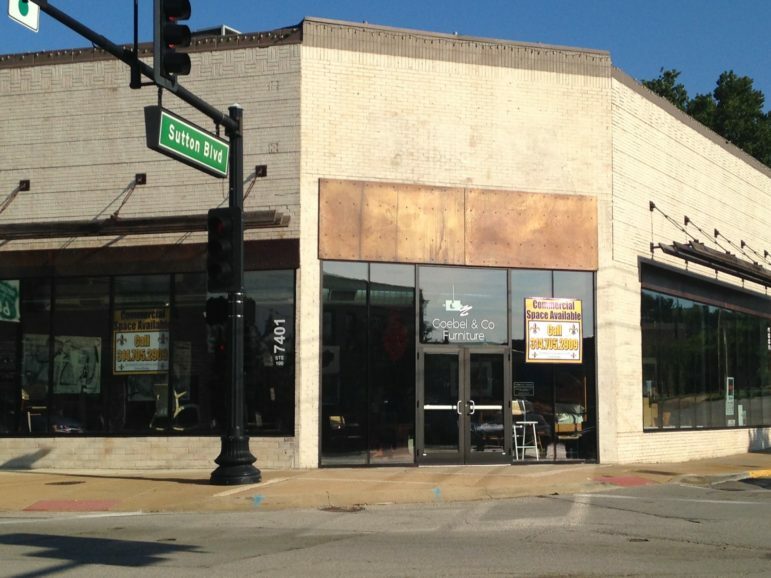 Elmwood restaurant, now under construction in the same building, will face Sutton Boulevard at the corner. 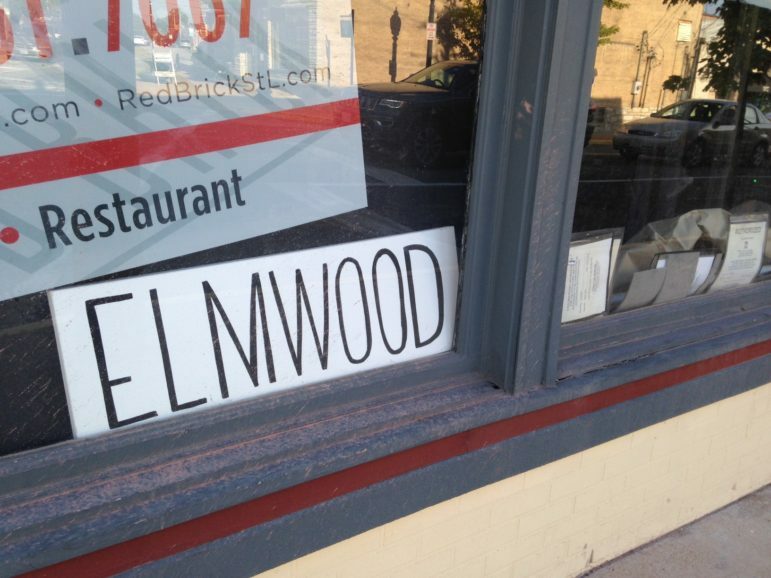 The Elmwood sign in the window is temporary. That space would be a perfect location for an ice cream shop. It’d be great if we could get a Jeni’s there!! Is the furniture store closing? Unless they were making a huge amount of sales, that’s premium retail space for a business. Especially one that’s using it just as a showroom. This show room is closing. Goebel still has its production studio on Locust.